Our clients find the latest pain management techniques can be very effective in dealing with many types of pain and chronic pain. Once you learn these modern hypnosis techniques you can reduce your pain down to a level comfortable for you, quickly and effectively. Pain can really make life uncomfortable, stopping us from doing the things we enjoy and love. Pain management medication is not always the answer as it can be ineffective and sadly there can be side effects. Many people can be oversensitive to pain signals or feel chronic pain for no real reason. 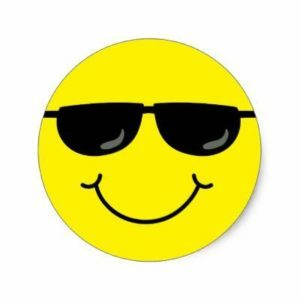 Using a tailored program of Modern Hypnotherapy, Emotional Freedom Technique – EFT and Neuro-Linguistic Programming – NLP we will show you how to turn your pain down to comfortable levels and even switch it off if suitable. The first thing we need to do is to assess the type of pain you are suffering from and look at the choices available to you. The best way to do this is during your initial free consultation which we will conduct over the phone. During this consultation, we can answer all of your questions and look at the best way forward for you. Are you ready to take control of your pain? Call Mark today on 07568 455 809 or complete the form below to arrange a call back at a time suitable for you. How Long Does The Hypnosis Pain Management Program Take? We usually start with a program of 3 sessions over a period of 5 weeks. For most people, this works really well with good results happening during the first session. We do tailor the program to each client as each person’s pain symptoms can be very different. We can assess this in more detail during your free consultation. What Happens During The Hypnosis Pain Management Program? Firstly we assess how high your pain levels are and explore the different types of pain you experience over time. We then teach you the powerful pain management techniques and show you how to reduce your pain, step by step. Over time we assess which self-help pain techniques work the best for you and work to make them more effective. We do use hypnosis and self-hypnosis techniques along with NLP and EFT for best results to take control and manage your pain levels. Will These Pain Management Techniques Work For Chronic Pain? Yes, the hypnosis pain management program will work on all types of pain including back pain, chronic pain, migraine, stress pain and other types of pain. Where Do You Conduct The Pain Management Sessions? Newcastle Hypnotherapy work from multiple therapy locations in the North East. Our main locations are The Vault in Newcastle upon Tyne and Food For Thought in Seaton Delaval. We also work from Cramlington and Bedlington in Northumberland. We are flexible and can usually find a suitable location for you. Can You Help With Pain Management Online? Yes, we do pain management and hypnotherapy work using Skype, Zoom and other video platforms. Clients do see excellent results using video and online sessions. Is It Safe To Switch Off Pain Signals? Pain signals are a very important part of our bodies natural health warning system as they tell us when things are wrong. When we start to work together we assess your pain issues and look at the best way forward for you. Some people are just overly sensitive to pain and this is fine to manage the pain down to a comfortable level. In some cases, we will only work with you once your pain problem has been investigated by your doctor or other healthcare professional. We do work with other therapists and healthcare professionals to find the best way forward for each client. It is wise to find out what can be causing pain and then decide how to proceed from there. Can Self-Hypnosis Help With Pain Management? Certainly, Self-Hypnosis is a very powerful set of tools that can quickly control pain, emotions, feelings and mental states. We do teach self-hypnosis techniques through private sessions and group workshops as it can be very helpful with pain issues and many other problems. 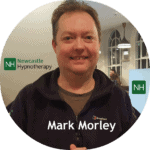 Newcastle Hypnotherapy runs a regular Wednesday Workshops and Events in Newcastle where we teach Self-Hypnosis Skills along with many other self-improvement subjects. Why Is Pain Medication Not Effective For Many People? Every person is different, with a different health history and a different diet. Some pain medications can be beneficial for one person and not effective again pain for others. Many of our clients approach us as a last resort after finding pain medication has not helped them or that the side effect of medications is causing problems. Sometimes pain can be caused by emotional issues as well as physical issues. Hypnosis can be very effective for pain relief along with many other health problems. Will The NHS Help With Hypnotherapy Pain Management? Sadly hypnotherapy is not available on the NHS. Our clients do arrange their hypnotherapy for pain management for themselves. We do believe hypnotherapy should be provided by the NHS as the benefits are very effective for our clients. Can Hypnotherapy Help With Surgery Pain? Yes. Learning pain management techniques can make surgery much more comfortable and also reduce the stress and anxiety out of medical procedures, dental appointments and giving birth. Acute Pain is often short-term pain such as a sprained ankle. Chronic Pain or Persistent Pain is longterm pain such as back pain or arthritis. Recurrent or Intermittent Pain comes and goes, such as a toothache. Pain is a signal from a part of the body to let us know there is a problem, damage or injury. Sometimes pain can be amplified or exaggerated when we are suffering from emotional issues, such as anxiety, stress and depression. Over time this can become a habit that is not always related to the cause of pain and sometimes there is not a cause of the pain. This is where pain management can be most useful to reset these pain signals or calm them down. Besides Pain Medication, What Else Can Help Pain Problems? We use a range of modern techniques to help manage pain including Meditation, Mindfulness, Self-Hypnosis, Hypnosis, Breathing Techniques, Diet, Nutrition, Excercise, Visualisation, Emotional Freedom Technique -EFT and NLP techniques. 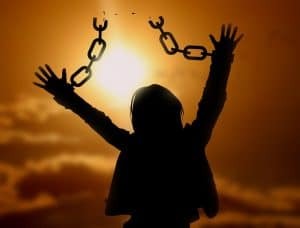 Part of the Hypnosis Pain Management Program is to find the right techniques that work well for you. When you are ready to take control of your pain you can call us on 07568 455 809 for your free consultation or complete the form below.